Highfield Hall & Gardens embraces and welcomes all visitors. Handicapped parking is available in front of the house and the mansion is fully accessible. Please inquire about the best way to view the gardens. Feel free to contact us regarding group visits so we can better serve you. Call 508-495-1878 ext. 2 or email. From the Bourne Bridge, follow Route 28 / Macarthur Blvd. into Falmouth. From Hyannis, follow Route 28 to the Mashpee Rotary. 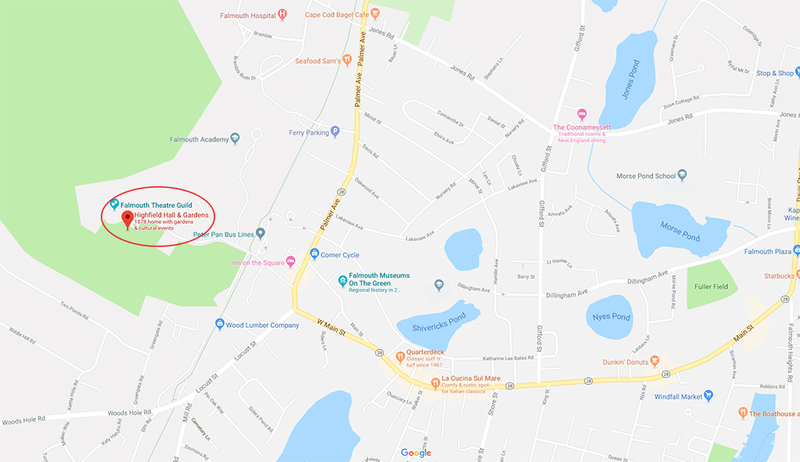 Take Route 151 to North Falmouth and get onto Route 28 heading toward Falmouth. Proceed straight through the traffic light and go approximately 1/2 mile to Depot Avenue. Depot Avenue is just beyond the Inn on the Square, which will be on your right. Take a right on Depot Avenue and proceed through the stone pillars. You are now on Highfield Drive. Go all the way to the top of the hill, staying left, and you will see the mansion on your left. Parking is on the left just before you arrive at the mansion. Adults $8, Seniors $5, Members and Children under 12 free.